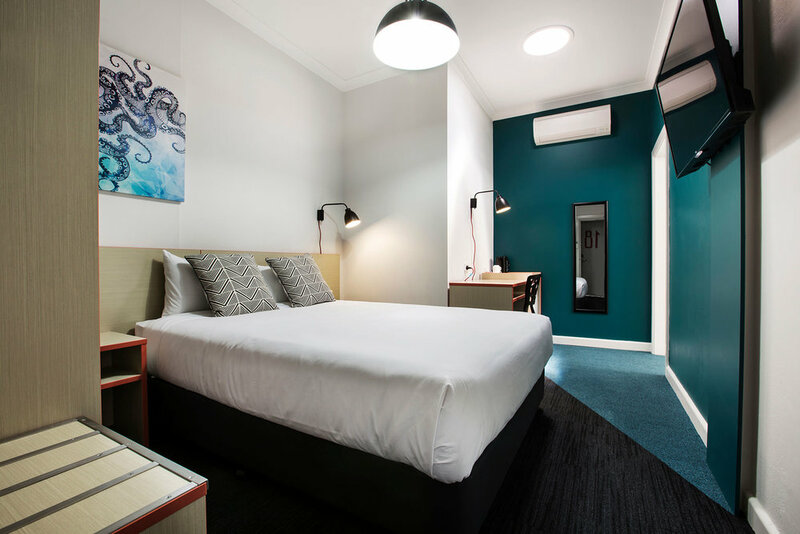 The Greenacre Hotel is located 30 minutes drive from Sydney Airport and 40 minute drive to Sydney CBD. 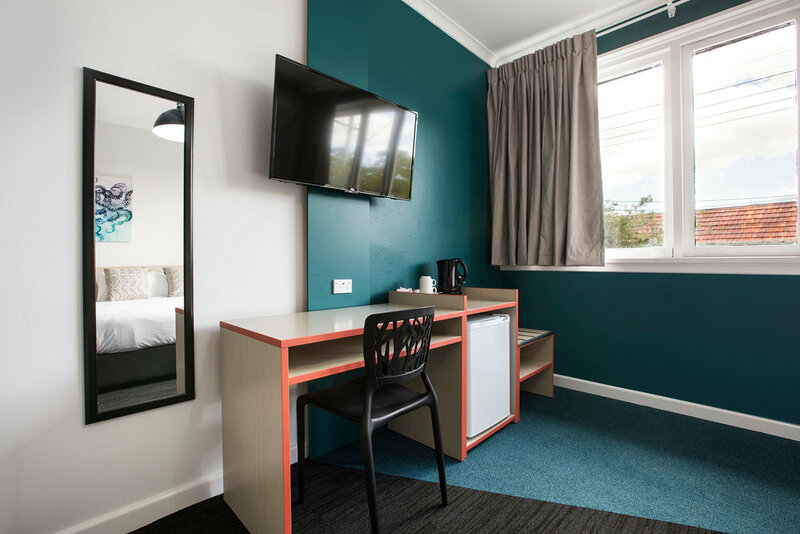 The hotel has 19 newly renovated motel rooms which all feature air conditioning, bar fridge, TV and tea/coffee facilities. There are seven room types available, catering for leisure, corporate, and family needs, as well as both long and short stays. The Greenacre Hotel is committed to providing a professional standard of service to ensure your stay is a pleasant one and guests can enjoy all our facilities including the sports bar. Photo ID is required upon checking in. 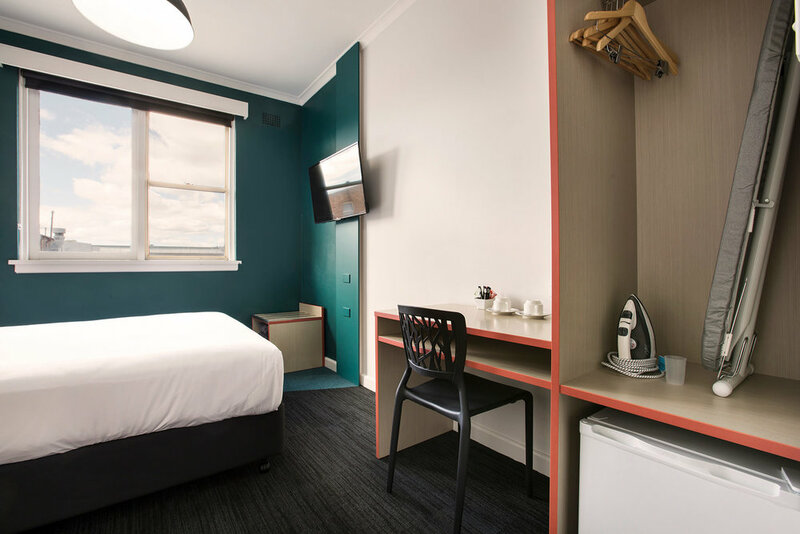 The Compact Single Room features a single bed and access to the hotels shared bathroom facilities. Each room comes with air conditioning and a TV as well as all modern conveniences. The Family Studio consists of one King and two Single beds. Each room comes standard with air conditioning, TV, en-suite bathroom with shower, and a bar sized fridge as well as all modern conveniences. The Family Studio consists of one King and two Single beds, with access to shared bathroom facilities. Each room comes standard with air conditioning, TV and a bar sized fridge as well as all modern conveniences. The King Studio Room consists of a King Bed Split. Each room comes standard with air conditioning, TV, en-suite bathroom with shower, and a bar sized fridge as well as all modern conveniences. The King Studio Room consists of a King Bed Split and access to shared bathroom facilities. Each room comes standard with air conditioning, TV and a bar sized fridge as well as all modern conveniences. The Queen Studio Room consists of a Queen Bed and access to shared bathroom facilities. Each room comes standard with air conditioning, TV and a bar sized fridge as well as all modern conveniences. The Twin Studio Room consists of a King Split and Single Bed. Each room comes standard with air conditioning, TV, en-suite bathroom with shower, and a bar sized fridge as well as all modern conveniences. 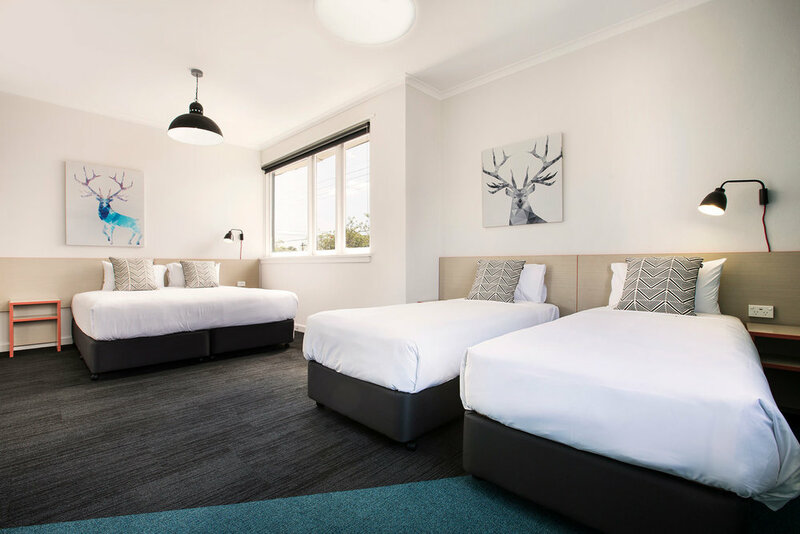 Greenacre Hotel is located on Waterloo Road in Sydney's western suburb of Greenacre and is just 30 minutes drive from Sydney Airport.